Time-outs don't teach kids to regulate their emotions, they put kids on the defensive, and they create power struggles. Here's why. "I can hear those readers unfamiliar with positive discipline saying: “How can you reward bad behavior? You’ve got to be kidding!” I understand your reaction because I had the same one. 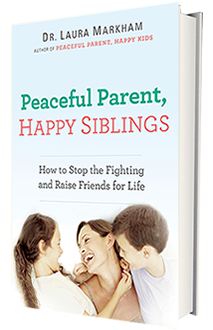 I changed my mind when I tried it and saw that it consistently decreases unacceptable behavior and helps prevent the child from repeating the same problems. My experience is that kids learn more about self-control using the Comfort Corner than they would after 100 Time Outs." Do you use Time-Outs? They’re certainly better than spanking to show your child you’re serious about whatever limit you’re setting. But time-outs aren’t the best way to help kids want to cooperate, or even to help them calm down. Why? 1. Time-Outs don’t teach children to regulate their emotions. 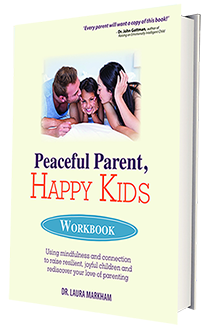 You’re giving your child the message that his emotions are unacceptable in your presence – and that he’s all alone to learn to manage them. That means he'll stuff his emotions, which puts them out of conscious control. So they pop out later--uncontrolled--and he repeats the bad behavior. 2. Time-Outs put kids on the defensive, so real remorse is less likely. No child sits in time out reviewing her mistakes and vowing to do better. She sits in timeout reviewing how she's misunderstood and it's all someone else's fault. 3. Time-Outs create power struggles. Most kids don’t go to time-out and sit for the allotted time without threats. Those power struggles infect the rest of your relationship. 4. Time-Outs only work while you can still intimidate or drag your child. Meanwhile, you’re missing the opportunity to help your child want to cooperate, and creating a habit of opposition. By the time he's six, you're out of discipline options. 5. Time-Outs shame kids and make them feel like they’re bad people who must be punished. 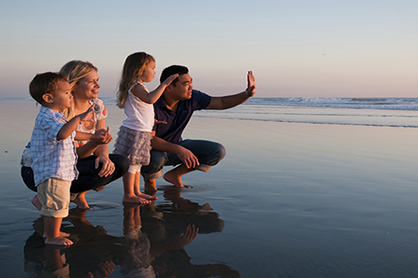 Research has clearly established that children live up--or down--to our expectations. 6. Your child concludes that you’re not on her side. The result? She’s less likely to WANT to cooperate with you and more likely to misbehave. 7. Timeouts don't teach problem solving or repair. What you want is to teach your child to recognize his mistake and make things better, whether that’s cleaning up a mess or patching up a relationship. Luckily, you don’t need to use time-outs. There’s an alternative—Time-In! Here’s how it works. 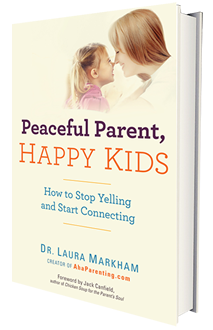 Your child is acting cranky and belligerent. If possible, you intervene then, BEFORE she escalates. But you're busy, and you just keep hoping you can jolly her along. Finally, she throws her cup across the room. Should you send her to Time-Out? No. But you realize that what she really needs is to feel loved and connected, and maybe a chance to get all those tears and fears off her chest. So you summon up all your compassion. You remind yourself that she is a little person whose behavior is a cry for help. You go to a specially designated spot that feels safe and cozy, and snuggle up. You connect, which may be all your child needs to pull herself together. Most children need this re-connection time daily, if they've been away from you. After the warm physical connection, you get her giggling if you can, because laughter evaporates those stored-up anxieties almost as well as tears. You put the book out of reach, and she bursts into tears. Remind yourself that emotions aren’t bad, they’re just part of being human. Hold her if you can, or stay close. You don’t have to DO anything; your job is simply to create safety so she can feel all these emotions in your warm presence, which is what lets them go. What if she doesn't cry, but gets angry? She's fending off those tears. Your job is to stay calm so she feels safe, and can work through her upset. Ratchet up your compassion to create more safety. If she yells, “Go away!” you can say “I will move back a bit, just to here…I won’t leave you alone with these big scary feelings....I'm here when you need a hug.” Use your voice as a bridge to tell her she’s safe, you’re right there. Don’t talk much. Don’t ask her what’s wrong. Don’t take anything she says personally. Talking forces kids into their heads. Let her stay in her heart and unburden her tears and fears. Soon, the storm will pass. 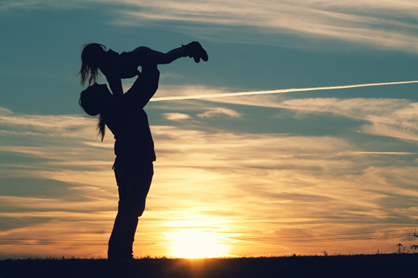 Your child will be in your arms, hugging you and wanting to know that she’s still loved. She’ll feel so grateful that you were there for her and so connected to you. You’ll see that by her sunny, cooperative attitude for the rest of the evening. She’ll even be ready to clean up the cup she threw and wash off the wall. Emotions may feel overwhelming, but once I let myself feel them, they pass away, and then the sun comes out again. My parents love and accept me just as I am, including when I’m feeling difficult emotions. When I'm upset, I feel an urgent need to act, but I don't have to. It’s good to take a few minutes to sit with it....that makes the feelings go away, so I can choose to act differently and have a better day. My parents are on my side. I don’t actually need to throw my cup, even when I’m really upset. My parents are always ready to listen and help me. After I calm down, I can always figure out a way to make things better. Time-in is not a punishment. It’s a way of meeting your child's needs so he doesn't have to act out. Specifically, you're giving him the connection that's essential so he can regulate himself. And you're helping him process his big emotions, so he’s ready to problem-solve and repair. Try it for a month. You’ll be so pleased with the results, you’ll never go back to time-outs again.